Last post to get y’all up to date on our travels. 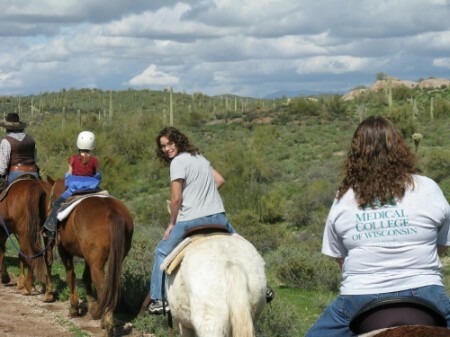 January took us back to Arizona to spend a couple of months with Heather, Tyler and Ethan. Tyler turned 6 on January 15th, and for the second year in a row had a rowdy birthday party at their neighborhood park. What distinguished this year from last was that it wasn’t freaking cold this time. Just look at this face – it will tell you everything. Another birthday for Heather, another horseback riding gift from her Daddy. But, THIS time, we got a picture! 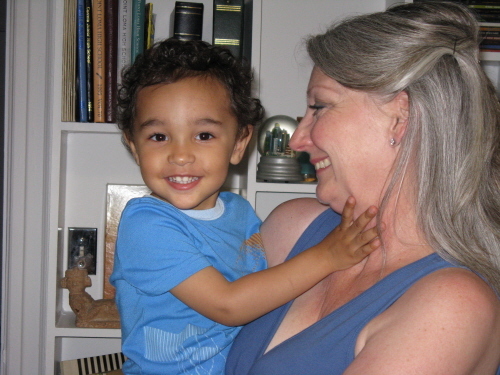 We are always amazed how fast our grandboys grow. We also love that it only takes about 2 seconds for them to warm up to us, even after not seeing us for a while. Such is one of the big benefits of this lifestyle. The beginning of March took us back to San Diego to celebrate Bill’s 55th birthday, visit with good friends and stuff ourselves at our favorite restaurants. We made a bee-line eastward to spend the Spring in New York. 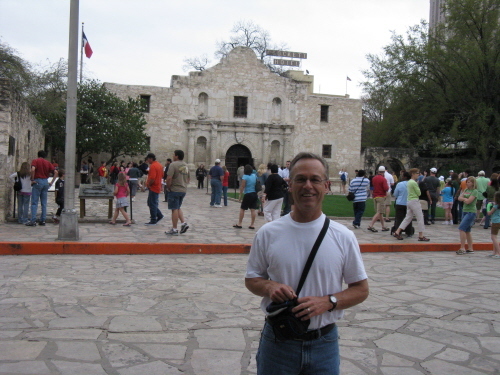 On the way, however, and taking yet another route, we stopped in San Antonio, Texas, to see the Alamo. As I mentioned in a previous post, I have a distant relative on my mother’s side who was an Alamo defender. My mother was born in a small town that doesn’t even exist anymore, just south of San Antonio. We had some pretty good Mexican food on the River Walk (which is great), but I tell ya, San Diego still has the best! Another stop along the way was in Dahlonega, Georgia. Bill’s sister, Karen, and brother-in-law Ted have retired there from Tampa, Florida. This was our second trip to Dahlonega. It is absolutely beautiful. The scenery is breathtaking. 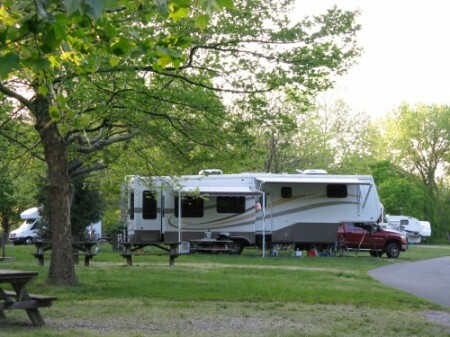 We just adore the Appalachian mountain range – it extends from Maine all the way down to Georgia. The first American gold rush was in Dahlonega – the phrase “There’s gold in them thar hills” was in reference to Dahlonega (pronounced Dah-LAWN-ega). 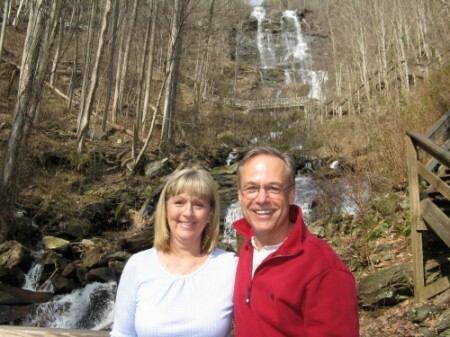 Here are Bill and Karen at beautiful Amicalola Falls. 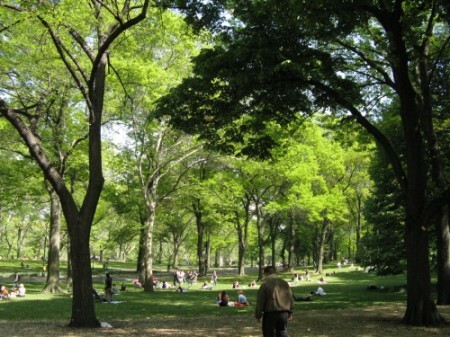 Once in New York, it doesn’t take us long to take in Central Park. It is one of our favorite places. When you are in the park, it is so big that sometimes it is hard to remember that you are in the biggest city in the United States. We had another great visit with our Miami friends Lula and Trevor. Their daughter, Megan, lives in New York and they were there to celebrate her birthday. Another wonderful repeat was being able to spend Aaron’s birthday with him and another glorious Mother’s Day with my son. Of course, Brando was happy to see us, too. He grew so much since the last time we saw him, and he was just talking up a storm. He LOVES books and has a very long attention span when he is being read to. 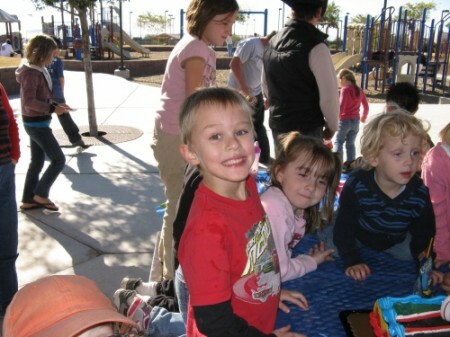 Like all kids, he loves to play the “where is the…” game. He can point out virtually anything you can name on a page. Here is our New York “home”, Croton Point Park. It’s hard to believe that this is less than an hour from the Big City. And, this is where I will leave you today. We have most of the rest of 2008 already spoken for from here. All-new posts from now on!! Yea! !